I should begin by saying what I'm sharing is from direct first hand experience. That said, our experience of reality is subject to our own relativistic perspective, the accuracy of which depends on the degree to which we've focussed our lens. 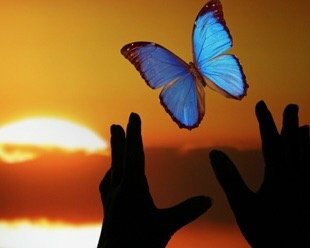 What's essential therefore, is that you evolve your own perspective, and so take only that which resonates, but do maintain an open mind and heart so that your truth may continually evolve. The circumstances are complex, so please excuse me if I abbreviate the diversity of the situation (I've given greater insight in my book DIVINICUS, rise of the divine human). Essentially the Earth has suffered a alien intervention that goes back millions of years, where DNA from the constellation Draco found its way here via panspermia (travelling on meteorites). This was the first intervention, which led to the rise of the Reptilian souls on earth. But they were not the only ones travelling here to exploit the richness of resources and genetics. The Annunaki, with Greys from Orion in tow, travelled here too, much later, and then eventually formed an alliance with the Reptilians to exploit the earth, resulting in the engineering of modern day Homo Sapiens DNA, way back during the times of Atlantis around 250,000 years ago. The evidence is clear, from the sudden explosion of the human genetic code to the chromosome count (the mysterious contraction from 48 chromosomes in hominids to the 46 in humanity, engineered to create speciation). Also consider some of the megaliths around the world, such as the great pyramids, which could only have been constructed from advanced technology. For me though, the most compelling evidence is that from past-life-regression therapy that I've been involved with, where countless people are now recounting experiencies of the Intervention and life times in other constellations, such as the Pleiadies, Andromeda and Arcturus. Indeed it was known that the Intervention would try to engineer the Earth's environment and life here so as to exploit it. Alien souls have disconnected from the usual cycle of reincarnation within the greater toroidal flow of the Universe in an attempt to control it. Why so? Whilst miraculous in its multiplicity of spectacular form, the Universe can also be tremendously calamatous, as the light seeks to break through into all the darkened recesses. Entire star systems come and go within the blink of an eye. Take Sirius for example. There are plenty among us who recall being disapatched there to support the civilisation as the star system destabilised some 120 million years ago in its White Dwarf Ascension. The resultant shift was sudden and catastrophic - the civilsation being literally torn apart and souls ejected into space. It's taken all this time to connect with, and reclaim, many of the lost souls, who've now incarnated here on earth to continue their journey. The Annunaki were the ruling elite across the Sirius constellation, originating from the planet Nibiru orbiting around Sirius C. As their home was obliterated they felt "abandoned by God" (their expression shared with me in past life regression journeying), and then sought to apply their tremendous knowledge of energy manipulation (free energy for example) to reconstruct their home civilisation, but now here on Earth. Hence the dramatic changes to the earth's natural environment. So this group, the Annunaki with the Orion Greys together allied with the Reptilians on earth, are essentially disconected from the usual cycle of reincarnation, and now acting from different vibrations beyond the visible - they have been in the ether all around us influencing and controlling the energtic environment in which we live. They do this through thought implantation, emotional manipulation, energy implants and genetic modification - essentially addicting human souls to the system in which we live; that which disconnects from the usual cycle of reincarnation. Their purpose is to create a synthetic reality here commensurate with their needs. Which has been largely achieved. The complexity of their agenda is morphing and shifting all the time. From Geoengineering, GMO, Transhumanism and the integration of AI, the system is constantly reshaping but with the same general agenda of exploiting human gentics so as to recreate the civilisation they lost. Even the space program (both overt and covert) is intended to propogate their purpose throughout the solar system. We might also ask why is it that the vast majority don't feel this influence? In actual fact they do - the disconnect from the natural flow, the obsessive addiction to consumption, the disregard for the wellbeing of all sentient life. These are frequencies of alien consciousness here that feed into the psyche. It's only when you truly follow the path of the soul through the deep inner inquiry, that you start to separate out the Intervention Agenda from the natural flow of your own soul and it's loving interconnection with the whole of life. It was known that this Intervention would likely sweep across the earth. Benevolent souls from many constellations have seen it happen elsewhere time and again. The Benevolent mission here has been to support the emergent human consciousness and encourage the Original Humans to find their authenticity and deeper connection to the natural flow of the Universe. And so benevolence supported the emergence of Original Humans around 6-1 million years ago, before the Intervention from Nibiru and Orion. The collective human soul was ready for separation into individualised souls. And so by gentle encouragement through the field, during the Lemurian epoch, Pleiadian DNA frequencies were resonated to support this emergence. It's why the human genome consists of 223 genes that appear nowhere else on Earth's tree of life. 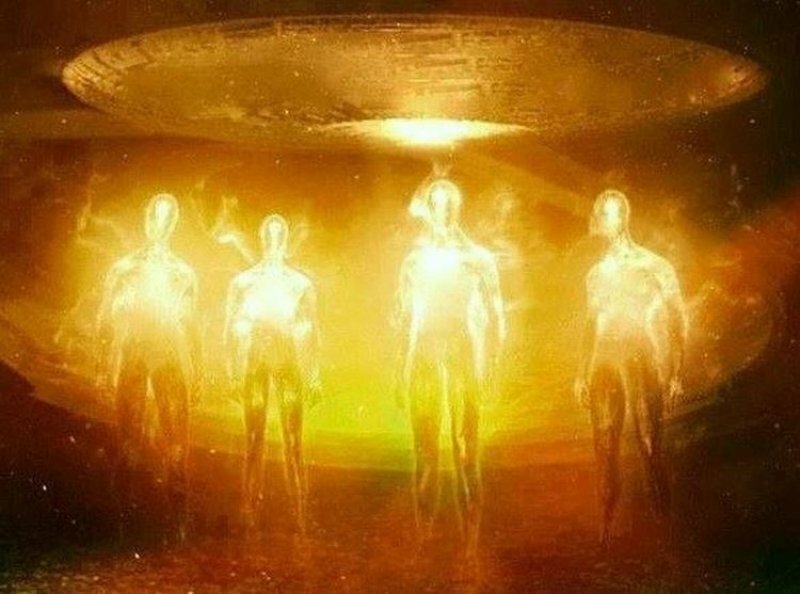 The Pleiadians were tasked to support the emergence of Original Humans from the surrounding field, but also through direct incarnation - hence there are plenty of Pleiadian souls naturally incarnated in human form here and now. Plenty still recall their vibrational connection to the Pleiadies star system. For others, they simply know it as a subtle vibration of unconditional love, joy and an innocence with life. The general idea was to encourage a custodian of the earth, one whose emergence might help eventually realign the intervening souls by expressing frequencies of compassion, unconditional love, trust in the divine and respect for all sentient life. It was always going to be a tough mission, but so is the challenge where wayward souls have gotten lost within the density of life. Nevertheless, no matter how long it takes, the light always finds a way. 7) A wide diversity of other minority soul groups from further afield in the cosmos, come to explore this complex shift of the Earth back to the light. Clearly it's a very complex situation. Even the star souls here will have travelled through different constellations and so have different 'homes' in the Universe. The field around us is teeming with groups working to resonate Star Soul frequencies that can come alive in people to remind them of who they truly are in terms of their soul resonance. Hence the great value of meditation to expand out into the field and pick up these resonant frequencies that make you feel more whole, complete and aligned. Even if you don't know your own star soul origins, it matters not, just feeling the frequencies that bring you alive, simply feel 'right' and connect you to that sense of 'home' is really all that's required to support your journey and purpose here. 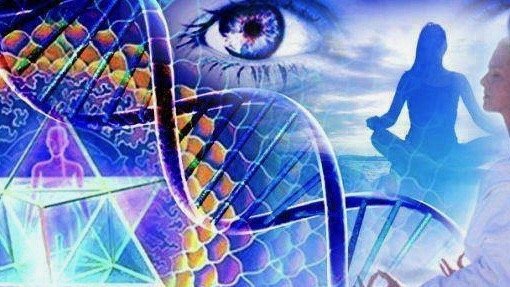 The emergence of these aligned star soul frequencies is greatly helping unravel the Intervention. 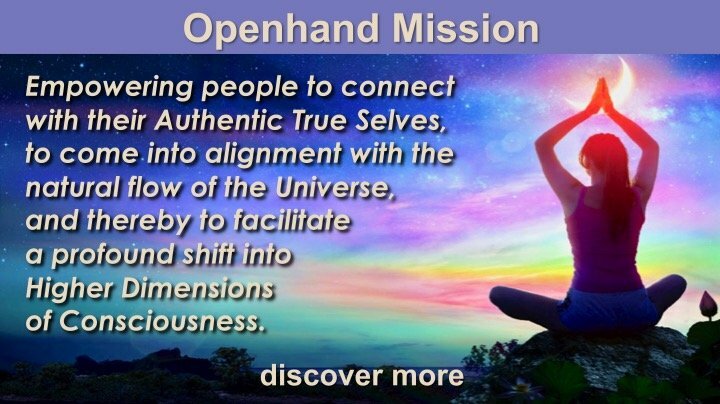 One aspect of the Openhand Facilitator Work involves creating portals and fields of consciousness to help people form bridges into their particular soul family frequency. 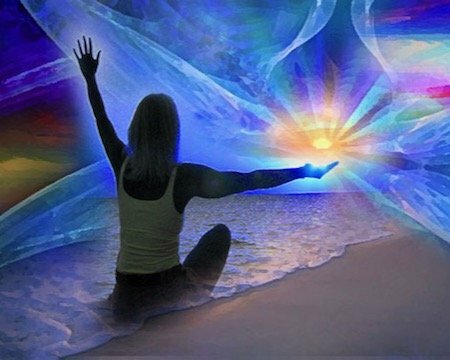 It's tremendously rewarding watching souls reconnect with their true origins and feel their authentic vibration come alive! Sample this Openhand Meditation for expanding your multidimensionality, activating Kundalini and bringing you into the Universal Toroidal Flow. What benevolence is working to do now, is to support the realignment of the various groups either into the New Paradigm in higher vibrations on Earth, or else back to constellations that are more commensurate with their vibration. This is being initiated through a comprehensive Earth Shift into the middle realm of the 5D/6D/7D. It will strip off the old karmic construct in the 4D to restore purity of vibration and rejuvenate Earth's natural eco-systems. It will be populated by an evolved form of Original Humans (what I'm given to call the divine being DININCUS), but with a wide and diverse blend of incarnated star souls too - those that can hold the vibration of love, trust, compassion and respect for all sentient life. Thus over millions of years the Earth will be rejuvenated and restored. So we're engaged in a complex realignment of the Earth's frequencies here, which will strip off the old reality by a breakdown of the 3D biosphere (through abrupt climate change and the pole shift). Souls that are not ready for the New Paradigm in the higher vibrations will be relocated elsewhere to realities more commensurate with their vibration and journey. Utlimately, it's about bringing ALL souls back into the natural cycle of reincarnation, where we are interconnected and all working towards a natural flow within the Universal Torus of life. It's Alignment with the Torus that restores harmony and brings light throughout the Universe. To be clear, we're not polarising or demonising those that have become wayward and exploited others, for that only ever perpetuates division. Yes, it's been a convoluted past, in which many have suffered. And yet each of us is playing out the greater macrocosym of light working its way through all the grey areas in the vast cosmos. If you resonate with my sharing, consider getting involved with the Openhand Work. What I feel is essential about bringing light to this complex interdimensional situation on earth, is helping people realise the various influences that are going on within their own field of consciousness. If you can appreciate the various influences, that's way more important than whether you can see or sense beings in the field around you. If you're skeptical for example, that's absolutely fine, but how might my sharing bring light to the challenges you face on your journey right now? And by knowing some of the aligned star soul frequencies, how might that help you embody more of you? Because let's be clear, that's what the spiritual journey is really all about - embodying authentic soul frequency right here and now. 1) Controlling Reality: Firstly the light draws to itself manifestation, as its own 'gravity' builds reality around it. This causes The One through these various creations to focus in on what's being created. The very focus itself begins to control reality - it's very early manipulation of the Law of Attraction. And this has manifested here as a controlling consciousness which is highly intelligent and manipulative. This we can clearly see in all aspects of society, from government to business, from acedemia to the arts. The Annunaki are the energetic manifestation here of that original distortion, which we can perceive clearly as a form of consciousness influencing people from the field. 2) The Pain of Existence: at some point in the emerging universal dynamic, following the big bang, there's a realisation that you cannot now stop reality from emerging and morphing, you cannot stop the progressive multiplicity of form. The view can take shape that as a soul, you're now locked into a never ending story. This leads to the Pain of Existence - a kind of depressive emotionally disconnected state, that wishes to placate the pain with soft comfort and distraction. Rather than penetrating through it all the way back to The One. And so you have this 'Pain of Existence' consciousness acting through the field and influencing the daily choices people make. We could attribute this consciousness to the Greys from Orion. 3) Revelling in the Physicality: at some point further down the line, some souls realise that if they can't escape reality, then why not fully emerse themselves in it and consume whatever they want - to exploit and manipulate, to consume and revel. And thus you have the emergence of the 'raptor consciousness' which has spawned the Reptilian souls here on earth in the ether around us. You see the consciousness clearly by the excessive consumption in society, even though people know this is destructive to the environment and eco-systems. So predominantly we're dealing with these three types of consciousness in the field that then pervades the human bodily field and negatively influences it. So it's these controlling loops we're working to get inside and break apart. It can readily be done. It just requires the commitment to inquire, a degree of will to continue in the endeavour, and bags of surrendering into the distortions with awareness - not giving in to the cravings. Then you'll bust the intervention wide open! You have the innocence and childlike playfullness of the Pleiadian energy. There's a vulnerability to it, but also a great inquisitiveness and strength that comes from vast travelling and experience. 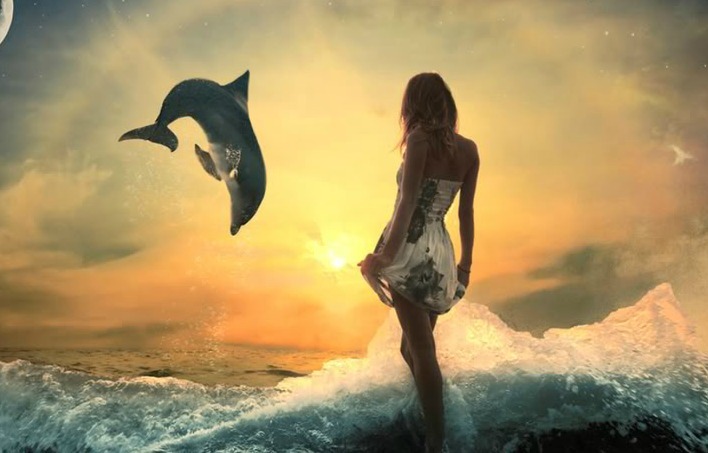 Dolphin energy is typical of that vibration here. There's also great technical expertise from the Andromedan energy, who are also great travellers in the cosmos. We can call on that consciousness for greater metaphysical understanding of field and life itself. And with the Arcturian energy consider quirkyness, great wisdom, individuality and uniqueness of expression - not being afraid to stand out and be in your truth. There are also plenty of warriors of the light - the magicians and mystics (consider metaphorically the Gandalf energy from Lord of the Rings). 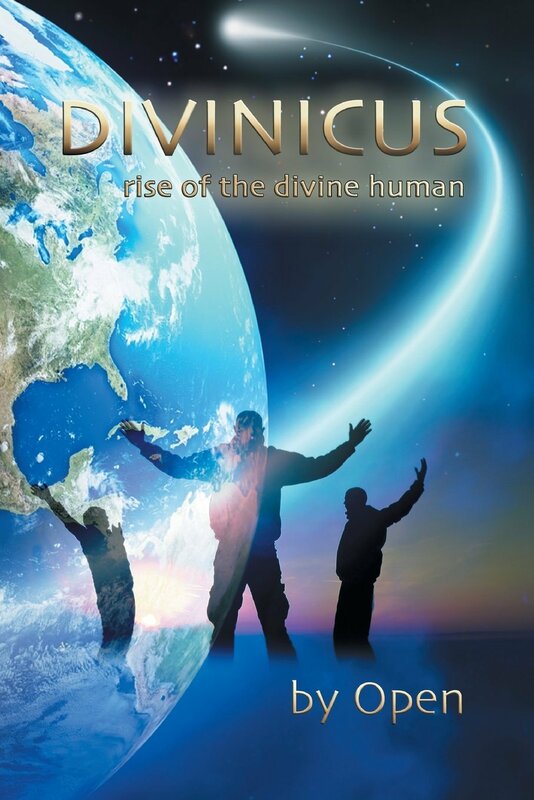 And the Original Human energy has great strength to it - but with the other more cosmic energies enfolded within, the new Human evolution of DIVINICUS will be more universally aware and less easy to manipulate - that's what we're working to forge through this great Shift taking place. So it might well help to see the field around you as qualities of beingness to embody and distortions to unravel. Do share what you're experiencing and I'll happily offer a reflection. Filmed in North America's most diverse setting, New York City, Resilient is a stark telling of the songs message through the grace of the dancers bodies and reflections on the poetics. The video was made to be simple, stark, and direct, engaging the viewer into the intimate space of each artist. We wanted to strip away the clutter of objects and centralize the song on our common humanity. Our eyes. Skin tones. Muscles. Smiles. Power. Each dancer responded both with choreography and improvisation to what resilience meant to them personally, and we sang the words straight into the camera to bring the listener in close to this intimate song. Resilient is meant to be a tangible, graspable, relatable folk song for people of all backgrounds and walks of life. Whenever I'm in a funk ,I find my way to the Openhand website . This is after I have already done the distractions and placating comforts . I am feeling 'Grey' today . Fortunately (or not) I seem to be hit by them every few weeks. It's almost comical actually. I feel motivationless and depressed and then I remember ( the buzzing around my head also reminds me 😄) . I am attempting equalize and Be with it . Reading about all the star seed groups brings up a deep pain in my heart especially on the right side . Wonder why . I just wanted to say that I am fascinated by the article you posted here yesterday. There is a lot that resonates internally and at the same it seems so distanced from daily 3D reality that it can seem a bit surreal and my mind can’t really make sense of it all in relation to my daily reality. And it is hard to not try and understand where my little soul fits into all of this and where it originated from, as I can feel some truth in most of the star soul characteristics…. Sometimes I wish I could just completely stick my head into the sand and become a simple human soul who just happily chops wood and fetches water, rather than having to engage in all this star soul business! J.
Hi Megha - Well it's good to recognise the influence, that way you know there's something to work with. My suggestion would also to be to go into the heart and open a channel into the angellic realm. I find a lot of this energy is now wanting to realign, so you could provide a bridge and it would help clear your field when it happens. Hi Marije - once you've opened pandora's box, it's hard to stick your head back in the sand! I would suggest just to accept that you'll likely bounce in and out of the different states - sometimes you'll feel the expansion, and sometimes the smallness of being human again. Personally I work to accept the two and they now live happily in parallel to each other - most of the time! Benevolent characteristics of OC groups? It's a very interesting article for sure. I can resonate with many groups, particularly Arcturus. I'd be interested to know, what are some benevolent characteristics of Reptilian, Annunaki and Grey energy? There must be some benevolent souls out there from these groups. Great knowledge and wisdom. Tremendous understanding of how universal energy works. Very articulate and erudite. Understanding how to heal the human body too. Powerful leadership, motivators and warrior energy. They are good community builders, good at working with energy. Adept astral travellers. Deep understanding of the metaphysical. Selfless to the greater good of their own community. They are highly adapatable and ingenious with great persistance and patience. The archetypal survivors/warriors - strong will to succeed and thrive. Loyalty to their own kind and strong team builders. They have respect for skill, strength and proved ability to succeed and thrive. They have tremendous coherency of being and commitment to their cause. Thank you so much for posting the Resilient-video. As an old dancer, I really appreciate soulful movement and for some reason I was particularly moved by the two men in white dancing together. Something about the exceptional fluidity in their movements that makes everything look so effortless and natural. Of course I know how much hard work is behind that appearance of effortlessness, but there are also moments when the effortlessness actually takes over and the body is allowed to flow as nothing else but the pure expression of joy and freedom of movement. Those moments are magical! Where do I seek joy and spontaneity? When do I let go of all my efforts and allow the flow of effortlessness to do the work for me? Just like in dancing, Resilience requires flexibility. Anything rigid or stiff will easily break if it’s forced or bent. But if we can find that flexibility in the moment and allow ourselves to bend with the movement, then we actually have a chance of dancing our way through it all whole and unbroken. Maybe it's because children don't have judgements of what is right and wrong until we teach them, so they don't have any resistance to mistakes. While reading your post I see my brothers baby girl happily pouring an entire bottle of water on the floor and laughing about it. Fortunately she is not being restricted here. But I also see when her movements are limited and constricted when the people who looks after are being over protective. And she basically imitates those around her. So if she sees her parents panicking when she falls down, sure enough she will also panic and cry. But if she is given a safe space to make mistakes, then there is more playfullness and resilience. Synchronistically enough I had stepped on to a path yesterday which turned out to be a 'mistake'. It probably came from a sense of lack. And funnily enough I lost whatever little I had. But that step brought some judgements and guilt to the surface and I'm still processing those. From a self realization perspective it's not a mistake at all. But that's not how I'm taught to see it. Another Mistake or a Unique Exploration? Thank you for your thoughts. Something you said actually fired off a process of contemplation concerning an issue I’m dealing with right now. You said that children don’t have “resistance to mistakes”. What I’m dealing with right now is the concept of ‘failure’. But not just the one mistake. Rather the failure of repeatedly failing at the same thing. Making the same mistake over and over and not learning your lesson. I keep having this vision/feeling of how I go back to the aftermath after a lifetime and immediately realise I missed that One key lesson AGAIN. The challenge with repeated failure is that you not only have to resolve the issue itself. First you have to get through the eddy current of hopelessness you have created surrounding it. The feeling of ‘I’m never going to get this one’. Now if only I can apply this approach to my own kids as well. Like right at this moment. While I am trying to write this, my two kids are singing (screaming) really loud and I can hardly hear myself think, but I don’t want to limit their expression even though it’s driving me crazy. Sometimes I can handle the strength of their ‘expressions’. Sometimes I can’t and I explode. And each time there is that choice of going into judgment and guilt over my misaligned reactions or seeing it as another unique exploration. Thanks Vimal for the insight. I think it's great to approach each situation with the child-like innocence of a serial beginner, yes. However, there's also the risk of ground-hog day if we don't continually learn from the cycles repeating themselves. What do I mean by learn? To integrate soul. And so you enfold wisdom too. And also in a particular time frame, you weave a reality construct. Which although must not be allowed to crystallise into rigidty, nevetheless provides markers and pointers based on experience. And so continual evolution can happen so that ultimately the patterns change and with that the reality. So, blending the innocence of the child and the wisdom of the sage becomes essential.